People still take crazy risks around fireworks. 22-year-old Devon Staples of Calais, Maine was hanging out drinking with some friends on July 4th, and they were messing around with some fireworks. Devon came up with the idea that he'd try to launch one off of his head, so he put a fireworks mortar tube on his head and lit it. When the firework exploded it caused a serious head injury, not surprisingly. And he died instantly. 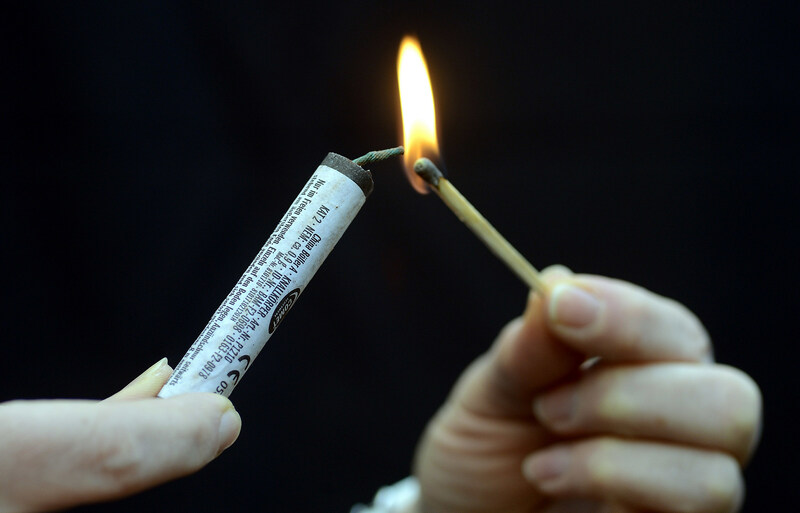 The fatality was the first reported since fireworks became legal in Maine in March 2012. Fireworks sales in the state through May 2015 totaled $20.3 million, officials have said. The incident was among several Fourth of July fireworks mishaps reported. Other incidents occurred in Friendship, Jefferson, Lebanon and Woodstock and involved burns and eye injuries, McCausland said. In Lincoln, a garage was damaged when remains from expended fireworks ignited Saturday night. The burned materials had been placed in a cardboard box in a trash pile outside a garage on William Street. No injuries were reported, Lincoln police said.